Jerry Dorsman | Author | Books On Addiction Recovery & Stress Management | New Dawn Publishing Co.
At this website, you will find some helpful techniques for breaking addictions and reducing stress. These webpages will provide you with practical information that you can use to make a positive change in your life. If you are seeking help for yourself, looking for inner peace or addiction recovery, this site offers practical guidance. If you need help specifically with breaking a substance addiction, the information on these pages can get you started in the right direction. You’ll also find techniques here that will help with stress reduction. If you are a professional counselor or therapist seeking information to help your clients, this site can benefit you as well. It can be particularly helpful if you’re looking for alternative treatment approaches for clients with substance addictions. This site was developed by author and addictions counselor, Jerry Dorsman. Jerry has worked in the field of mental health and substance addiction for more than 35 years and is a leading authority on alternative approaches to addiction treatment. He is the author of two books: How to Quit Drinking Without AA and How to Quit Drugs for Good. 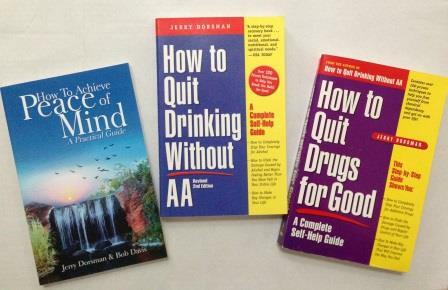 His quit-drinking book remains a bestselling recovery title with over 125,000 copies in print. In addition, Jerry is the coauthor of How to Achieve Peace of Mind, a practical self-help book presenting more than 100 methods for reducing stress. Most of the information at this website has been excerpted from his books. Jerry developed his addiction treatment program over a 14 year period. During this time he researched all available techniques that had been proven effective for people who were trying to break their addictions to alcohol or drugs. In 1991, this research culminated with the publication of his first book How to Quit Drinking Without AA. After its initial release, How to Quit Drinking Without AA became a top-selling recovery title. Its success continued with a revised edition in 1994. In 2006, this self-help guide published by Random House surpassed 100,000 copies in sales. Also two foreign language editions, one in Spanish and one in Russian, were published in 1993 and 1997 respectively. Jerry’s second book How to Achieve Peace of Mind was co-authored with meditation and yoga instructor Bob Davis. This book, released in 1994, presents over a hundred methods that individuals can use to attain a calm and peaceful state. The revised edition published by Sunbury Press is still in print and available online. This book was also published in Mandarin Chinese in 1999 for distribution in China. His third book How to Quit Drugs for Good was published in 1998. For this self-help guide, Jerry restructured his basic recovery program to help those who are struggling with drug addictions. Following the same format as his first book, this self-help guide presents a complete program with worksheets, checklists, and exercises that help with every step of the process. A translation of this book was published in Croatia in 2001. As an expert on addiction and addiction treatment, Jerry has appeared on more than 125 radio shows all over the U.S. and Canada and on seven local TV shows. In addition, articles about him or about his addiction treatment program, including book reviews, have appeared in USA Today, The Chicago Tribune, The Philadelphia Inquirer, Your Health magazine (Cover Story), Natural Health magazine, Better World magazine, and most of the magazines and newsletters in the addiction and recovery field. Jerry has himself written articles on addictions, addiction recovery, and mental health issues, as well as stress management techniques that have appeared in local newspapers and numerous magazines with national circulations. 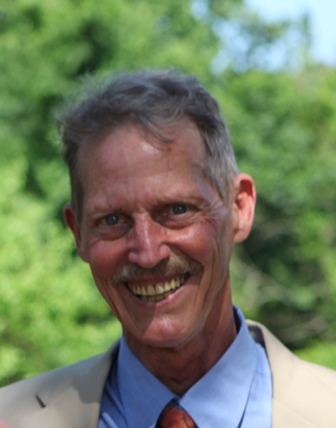 He is a semi-retired addictions counselor with a private practice in Elkton, Maryland. He worked for Upper Bay Counseling and Support Services in Cecil County, Maryland, before retiring in March 2017. At Upper Bay, he provided group therapy and individual therapy for mental health clients who also have problems with drugs and alcohol. In addition, Jerry works as a Freelance Writer. How to Quit Drinking Without AA at Amazon.com. How to Quit Drugs for Good at Amazon.com. How to Achieve Peace of Mind at Amazon.com. For inspiration as well as information on breaking addictive behaviors, see the Facebook Page at this link: Freedom from Addictions. For Addictions Counseling: Jerry Dorsman still provides addictions counseling on a limited, part-time basis. If you live near Cecil County, Maryland, and are seeking counseling to help you break a substance addiction, he offers this service. If interested, contact him at 410-392-9685 or write to him at his email or New Dawn address below. For Writing Services: Jerry writes articles and book reviews, as well as publicity, brochures, and press releases. He may be the right person to write for you. To contact him, call 410-392-9685 or write to his email or New Dawn address below. For Speaking Engagements: Jerry is an acknowledged expert on addictions, addiction treatment, and stress management techniques. He is available as a speaker on these topics. He can make presentations or lead discussions on these subjects. To contact him, call 410-392-9685 or write to his email or New Dawn address below. To Contact the Author: Emails for Jerry Dorsman may be sent to jdorsman@self-renewal.com or send mail to him C/O New Dawn Publishing, P.O. Box 9715, Newark, DE 19714. To Read Blog Posts: For posts on breaking addictions, see Breaking Addictions Posts. 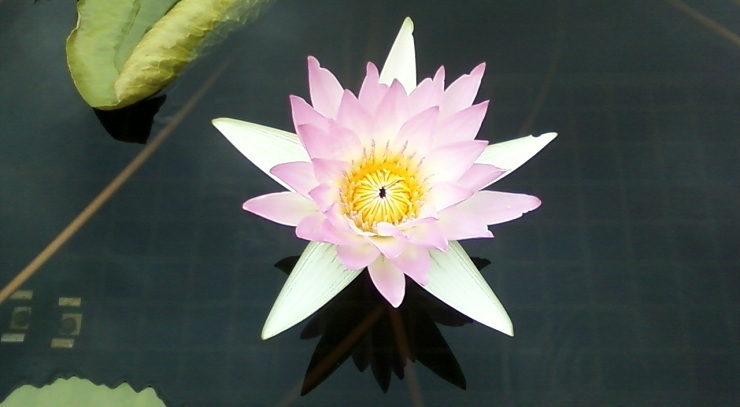 For posts on reducing stress and improving inner peace, see Inner Peace Posts.